When you need experienced counsel and representation for your legal issues in Lincoln, NE, contact the attorneys and staff at Cada Law. With over 50 years of combined legal experience, you know that you are going to get the help that you need. Whether you have been injured, are planning for the future or are involved in complex litigation, our lawyers can help you find the solutions that you deserve. With winter winding down, the warmer temperatures will soon be beckoning motorcyclists back onto the roadways. Unfortunately, the negligent behavior of other motorists contributes to many motorcycle accidents and personal injury claims every year. Thus, if you ride, you should always be on the lookout for potential dangers. Here are some of the leading causes of bike-related crashes and what you can do to reduce your risk of getting hurt. A large percentage of motorcycle accidents are the result of car drivers failing to yield to oncoming riders when making a left-hand turn. Motorcycles can be difficult to see, and drivers don’t typically spend time looking for them before turning. To prevent this type of crash, look for cars edging to the left side of their lane and looking both ways, even if they don’t have their turn signal on. Because motorcycles are much smaller than passenger vehicles, it’s easy for them to get lost in blind spots. As such, a driver may think they’re clear to change lanes, not knowing a rider is already occupying that space. Therefore, you should never ride alongside a car for any length of time, be aware of turn signals, and make sure you can see the driver in their side mirror, as this likely means they can see you as well. If a driver doesn’t leave sufficient distance between themselves and a rider, the risk of an accident increases considerably. 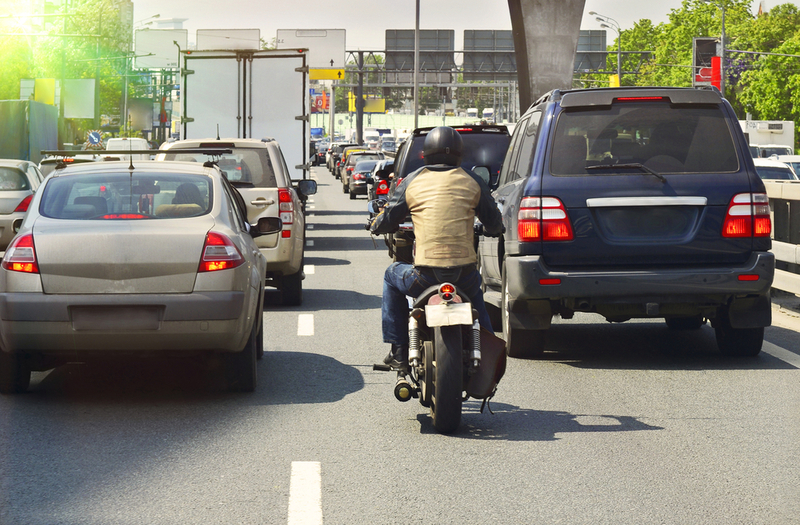 Since motorcyclists have less protection around them than those in cars, rear-end collisions can cause significant personal injury. Avoid this by stopping to the side of a lane instead of at the center, and be ready to move if it appears the car behind you isn’t going to brake in time. Taking extra precautions will make the road safer for everyone. However, there is still the potential of getting into a motorcycle accident due to another driver’s negligence. If you find yourself in this situation, seek legal counsel from Cada Cada Hoffman & Jewson. Since 1974, the firm has been entrusted to fight for the rights of personal injury victims in Lincoln, NE, and work diligently to help them recover maximum compensation. Call (402) 477-2233 to arrange a free consultation or visit them online for more information on how they can benefit your personal injury claim.